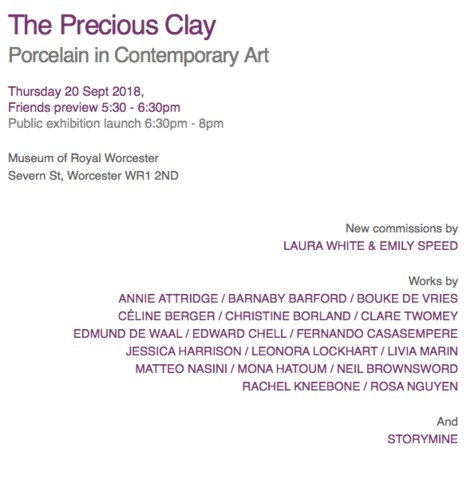 The exhibition examines why and how artists use this legendary material in their practice, responding to porcelain's associations with preciousness, mutability and exoticism in a variety of lively and inventive ways. 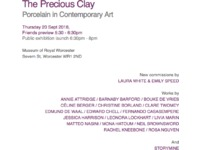 With new commissions by Laura White and Emily Speed shown alongside work by innovative artists including Annie Attridge, Barnaby Barford, Bouke de Vries, Céline Berger, Christine Borland, Clare Twomey, Edmund de Waal, Edward Chell, Fernando Casasempere, Jessica Harrison, Leonora Lockhart, Livia Marin, Matteo Nasini, Mona Hatoum, Neil Brownsword, Rachel Kneebone and Rosa Nguyen, plus a special interactive project by Storymine, the exhibition is an opportunity to see the museum’s newly displayed world-class collection through the eyes and imaginations of contemporary artists. 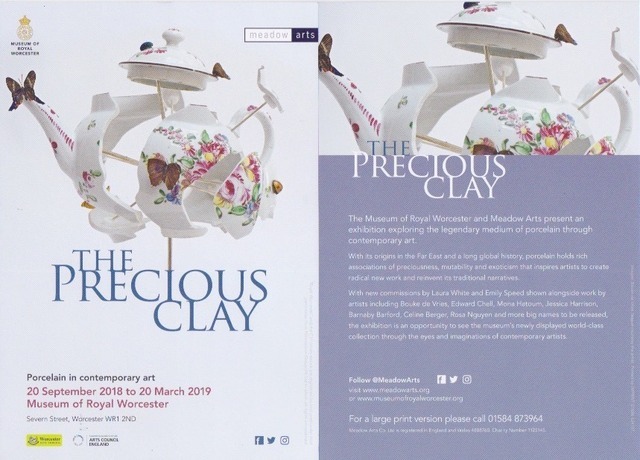 There will be an additional display of Laura White's The Esque Collection at Worcester Cathedral from January to February 2019. 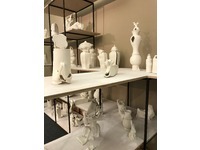 'White Mud' by Laura White.. Porcelain, metal, wood and paint. 653 x 290 x 253cm. 2018. Laura White presents a collection of porcelain objects that occupy and explore their own materiality - exposing the elemental material behaviour of this extraordinary 'white matter,' such as through the artists hands-on manipulation, and the processes and techniques used in the production of porcelain objects, such as casting, handbuilding, glazing and firing. 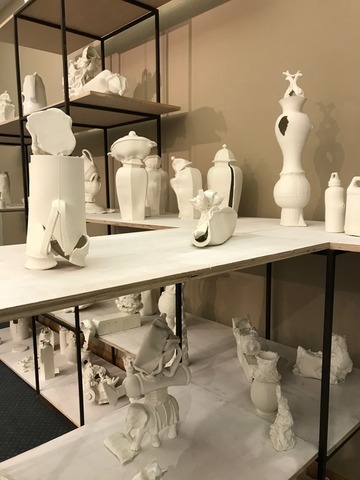 Working with the materials capabilities and limitations, such as the collapses, breaks and cracks exposes the vulnerability and strength of the material, while also offering up new and challenging possibilities. 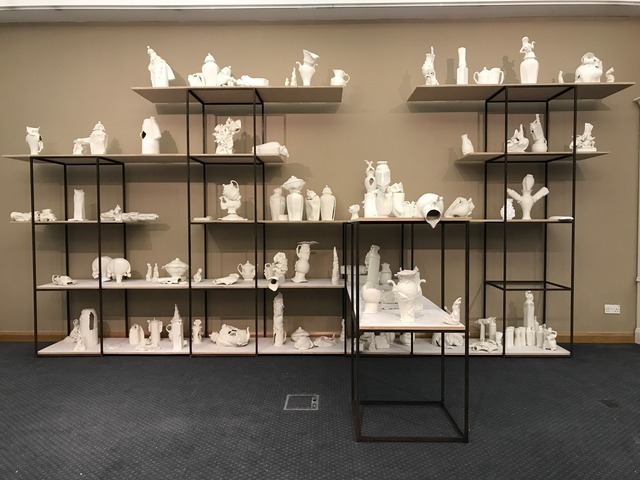 Laura's installation reflects on a relationship to the production of porcelain today, such as to how the digital environment has impacted on porcelain production, from handmade museum collectables, to the mass-produced digitally designed slip cast crockery we use every day in our homes. 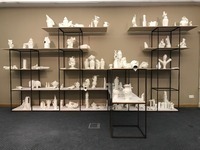 The installation makes reference to MoRW unique collection. 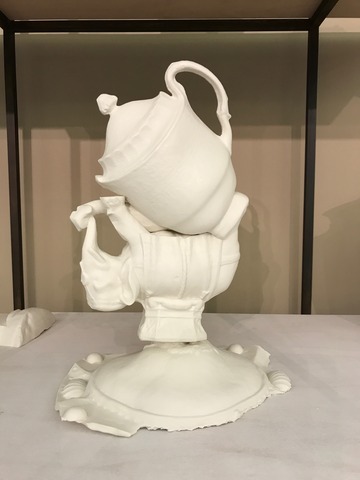 Key objects from the museum have been digitally scanned in order to make 3D printed replicas, which have then been used to make moulds to cast from. 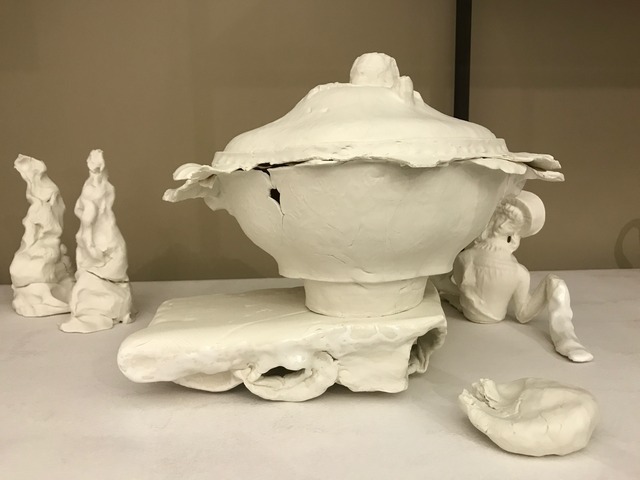 Similar moulds have also been made from everyday more familiar objects, such as plastic containers and fashionable household ornaments, which combined with the museum copies perform a medley of interactions. 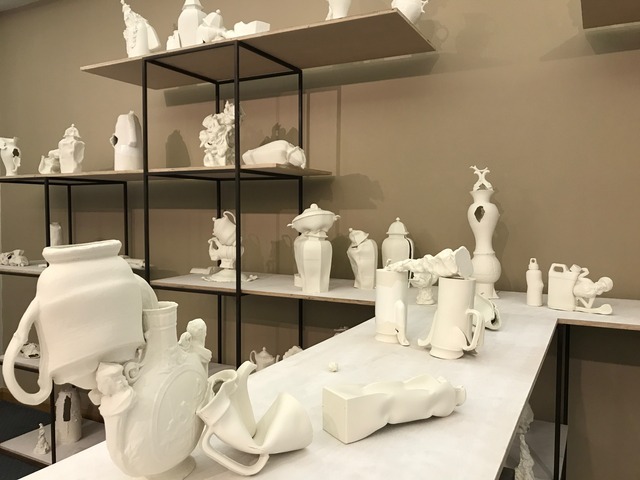 Bringing these different types of objects together using the same material, conflates different histories and questions how we value objects depending on their materiality and the context in which we come across them - the museum to the domestic, the perfect to the damaged, and what our expectations are of different materials, in particular porcelain. 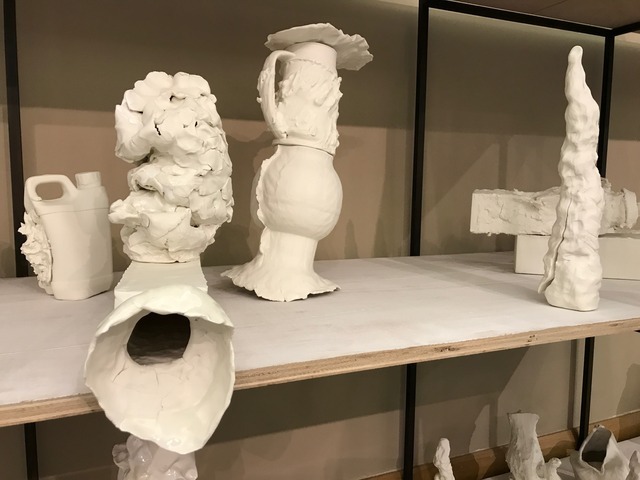 This collection of objects is mounted on a bespoke shelving unit which both elevates the work while also grounding it in a workshop ethos, where these individual porcelain pieces have experimentally come into being. Commission funded by MeadowArts, Arts Council, Lottery Funded and Canal and River Trust. Accompanied by a small publication.